These waterproof Chemic 1 gloves feature a black textured LiquiDex palm coating making these an excellent grip glove for chemical protection in dry, wet, oily and cold conditions. They feature an extended cuff and a soft cotton lining that will absorb perspiration making them more comfortable to wear. Constructed of a PVC/Nitrile blend, they are snug-fitting, highly dexterous, flexible and allow operators to work with good freedom of movement. Highly tactile, wearers will be able to easily handle small instruments, glassware and the like. 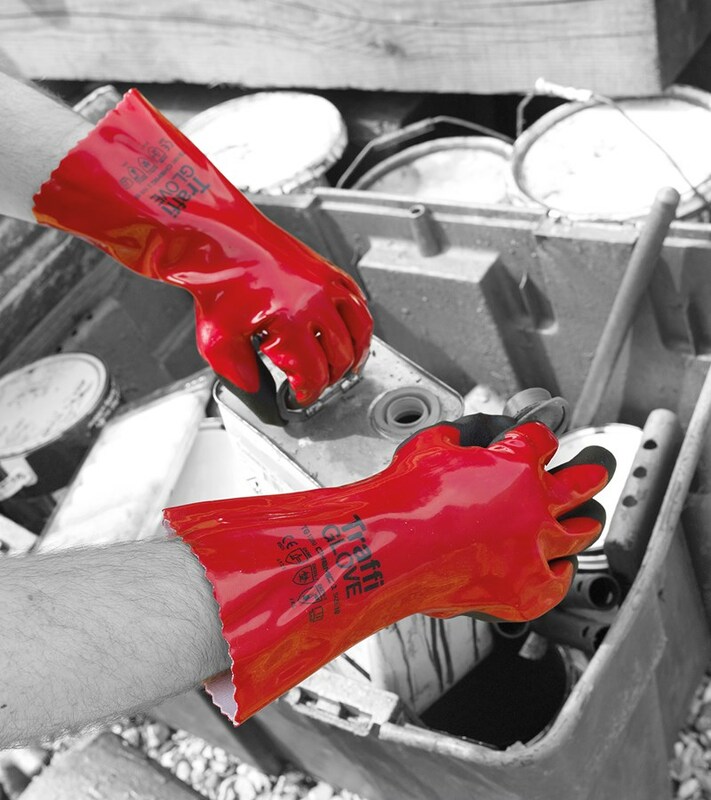 These gloves may be positioned as chemical safety gloves, but they are ideal for wet applications such as commercial fishing, construction, window washing, gutter cleaning, oil and gas, maintenance, metal fabrication, agriculture, automotive detailing, meat, seafood, poultry and food processing!